What began as a niche movement, eBikes have quickly become a global phenomenon, there are now over 2.5 million eBikes in Germany alone – and now it’s Australia’s turn. For young or old, for urban or sporty use, eBikes or pedelecs (electric bicycles that must be pedalled, rather than powered by a throttle) have made cycling more accessible and more relaxing for people of all ages and fitness levels. We recently got our hands on the ORBEA KERAM Comfort epowered by the Bosch Performance Line to find out for ourselves why this category is about to make a real splash in Australia. Here’s what we learnt…. Powered by the Bosch eBike System: featuring drive unit, rechargeable battery and on-board computer. Forget the days of being held up in traffic or forking out your hard earned for a pricey car park or public transport ticket, the eBike is the ideal way to get to work. With pedal-assist up to 25 km/ph you can zip through traffic and fly up those hills on your commute without breaking a sweat – so you can arrive at work feeling fresh. sweat factor. However, the cruising that eBikes provide saves you some effort, so you can still burn those calories and arrive at work without looking like you’ve just ran a marathon! Think eBikes are just for those who want to take it easy? Not at all. Despite the power assistance, eBikers still have to hit the pedals to get moving. With five modes – from eco to turbo – you can decide how much power assistance you want or need. It’s clear eBikes will never replace the traditional pushy but they’re a great alternative to make cycling more accessible for the everyday Aussie. 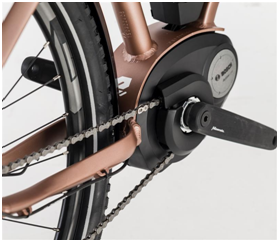 Thanks to the even, adjustable power assistance, riding the KERAM Comfort eBike powered by the smart Bosch drive unit, it’s clear eBikes are a great for training, recovery and rehab, and getting back into cycling after a few years out of the saddle. The intuitive Bosch drive system prevents too heavy a burden on knees or thigh muscles, and eases the pressure on joints, tendons and ligaments. eBikes can be considered quite expensive, with prices starting at around $3,000. But after your initial purchase, the bike pays for itself. Forget about fuel costs, insurance premiums, car registration and rising parking prices, eBikes are much less expensive than cars to buy and maintain. The cost of fuel alone for a diesel-powered car is currently around $10.50 per 100 km. 100 km on a pedelec costs around 30 cents. could easily cover 100km on a single charge, and with the innovative Bosch battery being able to be recharged up to 1000 times that’s a lot of ks! If you’re like me, you haven’t ridden a bike since the glory days touring the local suburbs during school holidays. So, the thought of getting back on the bike and facing a few hills was slightly daunting – no one wants to be that guy getting off the bike to push it up the hill. Enter the ‘tailwind’ support of an eBike, the helping hand your legs have always craved. 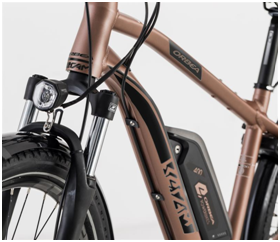 A quick flick of the controls into Turbo mode and you’re away, the KERAM Comfort eBike effortlessly charged up any hill without my heart rate flat-lining. There’s an eBike out there for almost everyone, including seniors and even athletes recovering from injury. There are a range of models available for urban or cross-country use, for leisure tours or for the sporty cyclist. 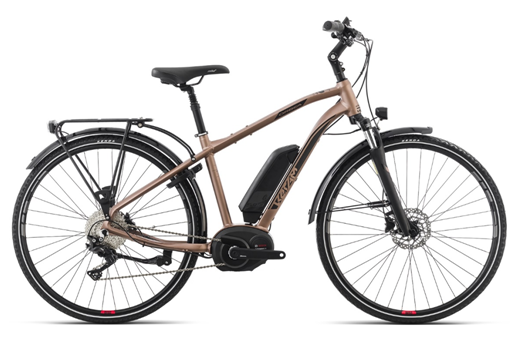 Bosch have three different eBike system available, the Active Line (suited for leisure riders), Performance Line (suited for commuters and urban riders) and the Performance Line CX (suited for mountain bike riders). Revolutionising urban transport and turning everyday riders into explorers, the pedal-assist boost of eBikes is the ideal solution for anyone looking to get back on the bike.